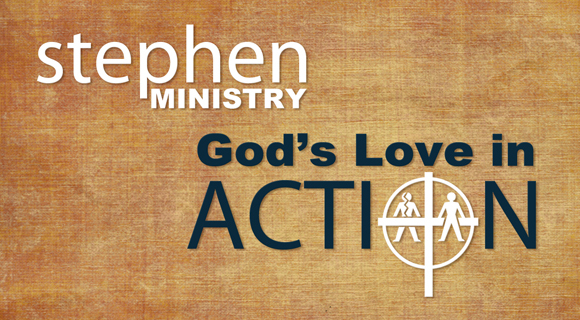 Stephen Ministry is a program that is grounded in Jesus’ command to love one another. It equips people to provide one-to-one caring relationships to those who are experiencing all kinds of life needs and circumstances. Would you like to have someone in your life that really cares? Stephen Ministry Meets the Needs of People. Stephen Ministry is for anyone who needs support during a difficult time in life. We all have those “speed bumps” in our road of life, times when we are lonely, confused, hurt, frightened, grieving or questioning our faith. These needs include, but are not limited to, facing life transitions, new members of the parish, looking for a spiritual companion, hospitalized, bereaved, serious illness, job crisis, disabled, lonely or aging. In his second letter to the Corinthians, Paul tells us such crises can be opportunities for personal growth, but as we who are in Christ experience suffering of one sort or another, we also experience comfort through Christ. One way we receive this comfort is through others who have likewise received comfort and care through Christ (II Corinthians 1:4-6). a lay person who is committed to preserving the confidential nature of the caring relationship. You may request a Stephen Ministry referral by calling St Agnes Rectory at 913-262-2400. You may also speak to Father Bill or to any Stephen Minister. They will pass the request directly to our Referral Coordinator, Yoly Nordling. When you ask for help from a Stephen Minister, a Referral Coordinator will contact you to talk more about Stephen Ministry and what it can mean to you. If your needs can be best served by a Stephen Minister, you will be matched with someone who will support you through this tough time. Women are only assigned with women and men assigned with men. The Stephen Minister will provide support as long as the care receiver wants the caring relationship to continue. Confidentiality is a top priority for Stephen Ministry. The Stephen Minister continues to provide distinctively Christian care for the person in strict confidentiality. Their identity and what goes on in the caring relationship will remain private. Only the Stephen Ministry Referral Coordinator, the Stephen Minister, and the person receiving care are aware of the caring relationships.